I was immediately curious about Kellogg's promotional tie-in with Lew Fonseca. Why sign a former player/manager three years out of baseball to a cereal deal? Did people know him better as an announcer in the 1930s, like Bob Uecker today? The answer was yes, but with longer-lasting significance. Lew's little mentioned today, but his work with cameras and baseball highlights looms large over modern sports, particularly our TV-driven era. After helping with a Hollywood baseball film in 1927, Lew saw its potential both as an on-field tool for managers and way to share the game to fans around the country. 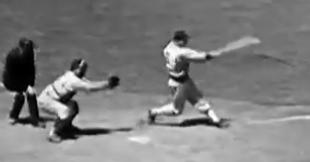 By 1938, most of America knew him for traveling newsreels of World Series stars and All-Star highlights. 1930s Chicago teammate (and future HOFer) Al Simmons picked up the nickname "Bucketfoot" because he stepped out and away during each swing, leaving his front foot "in the bucket" and seemingly far from the plate. 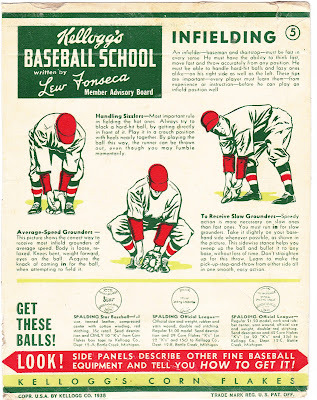 Curious why this didn't limit his reach, Fonseca used his camera to figure out how this unusual approach still allowed Al to reach pitches anywhere in the strike zone. This kind of film review seems second nature now, thanks in large part to Fonseca's promotion of traveling highlight compilations. The phrase "highlight reel" came literally from Lew filming, editing, and screening his 16mm films around the country and to troops overseas throughout the 1930s and 1940s. 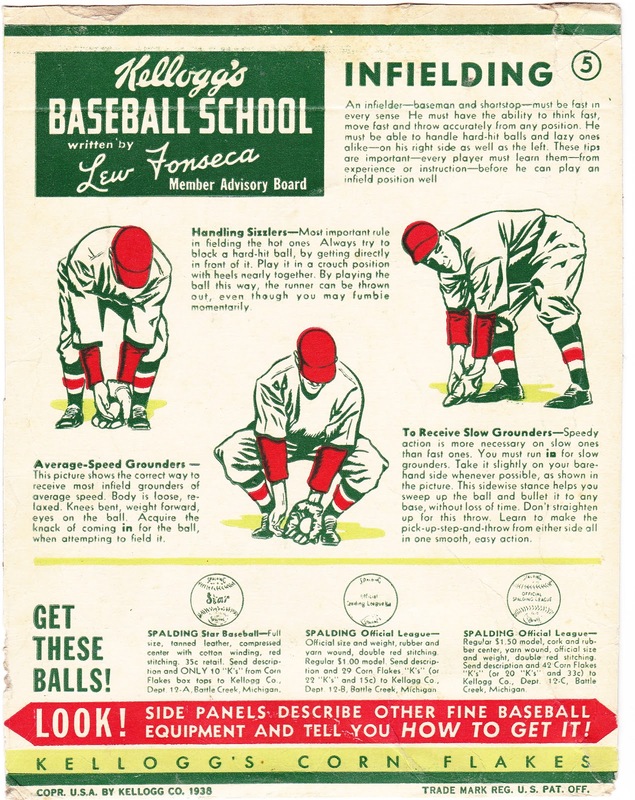 Read more about Lew in The Innovations of Lew Fonseca, which describes how he built initial support for in-game films, measured the speed of Bob Feller's fastball before radar guns, and captured essential pieces of history like Jackie Robinson's steal of home (above) in the 1955 World Series. It's great stuff. Fakes / reprints: Doubt there are any fakes out there, given its lack of a specific player. These are cool! Alw3ays love when a cereal got in on the game with baseball cards.